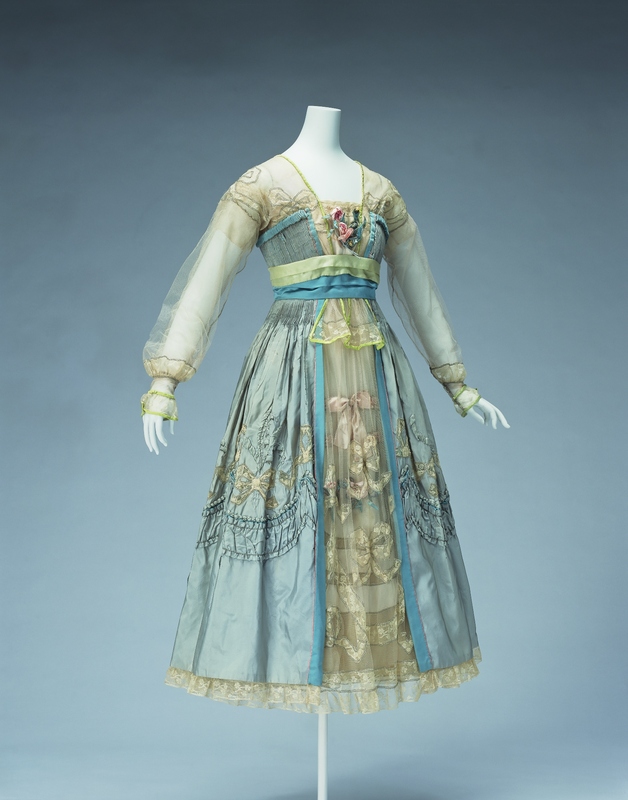 Off-white silk chiffon, tulle and lace; light blue silk taffeta and satin; one piece dress; floral decoration at breast. 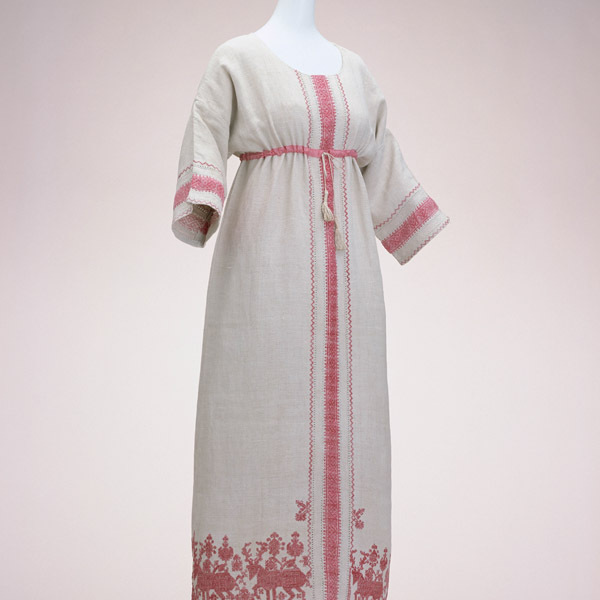 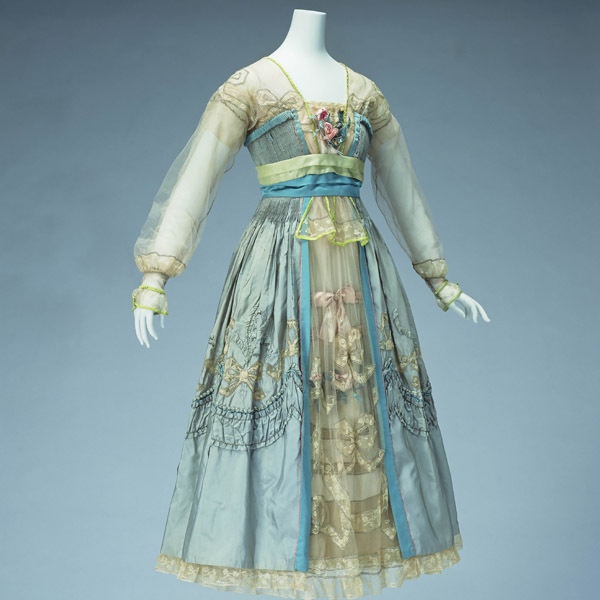 Dress characterized by pale coloring and delicate decoration. 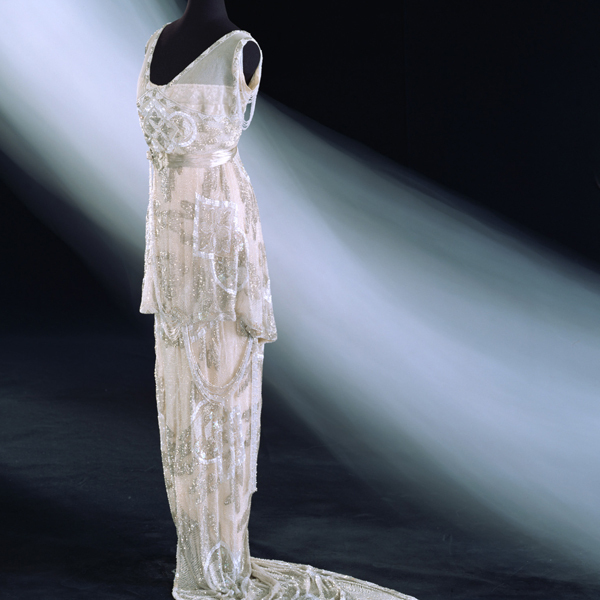 The skirt section is three-layered, with the front opening of the overskirt giving glimpses of a large number of decorations in tulle and lace patched together, with silk satin ribbons and flowers. 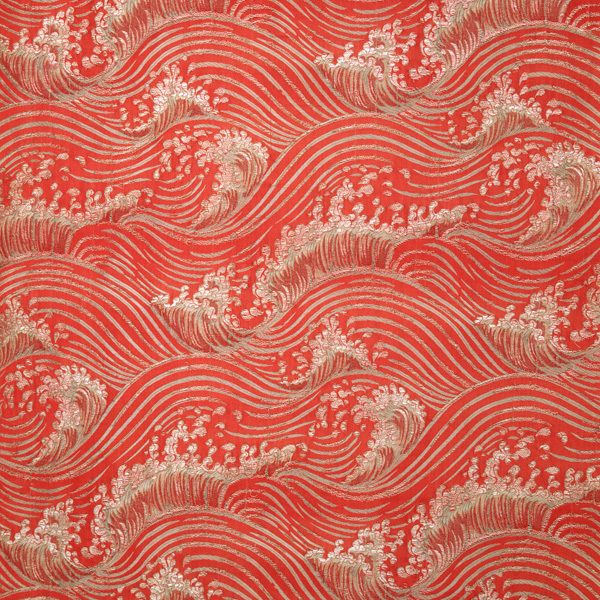 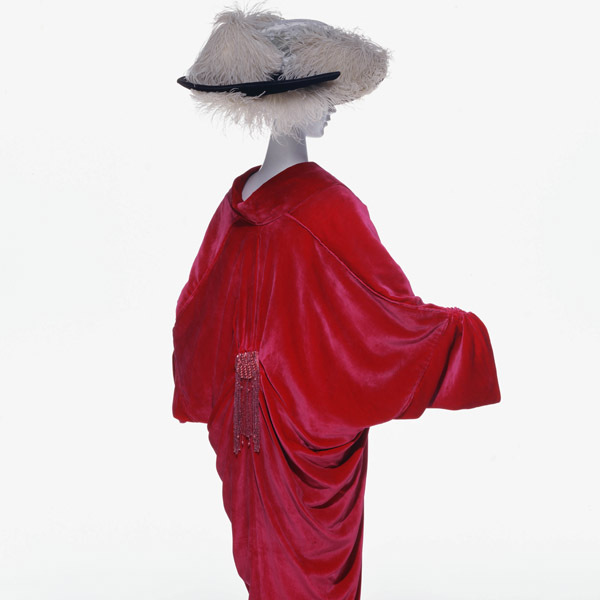 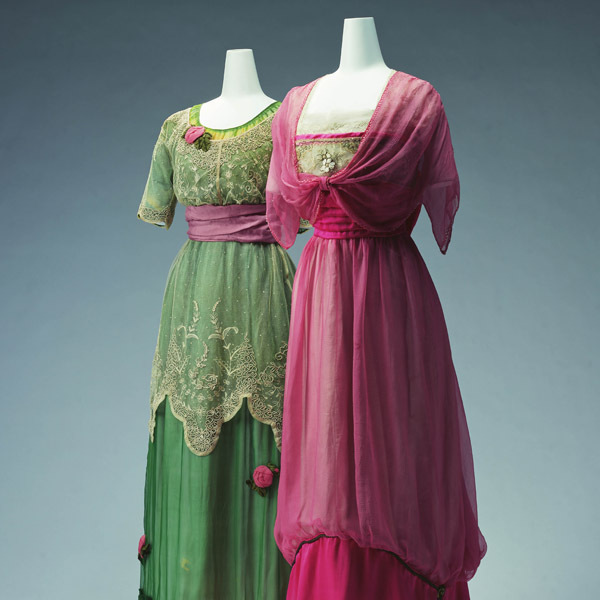 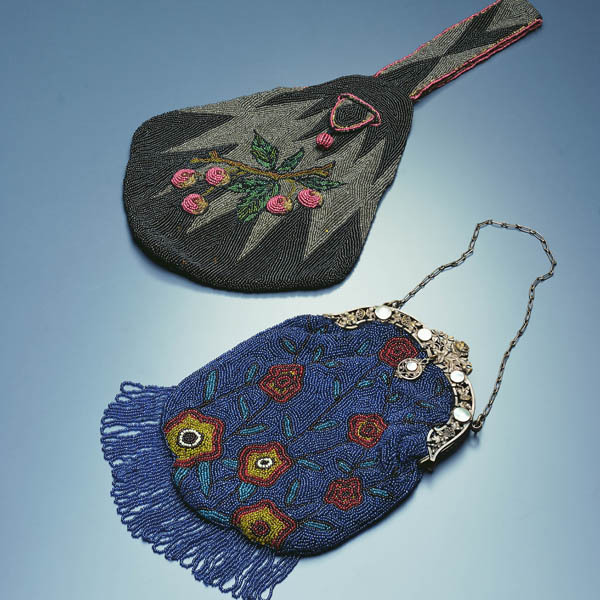 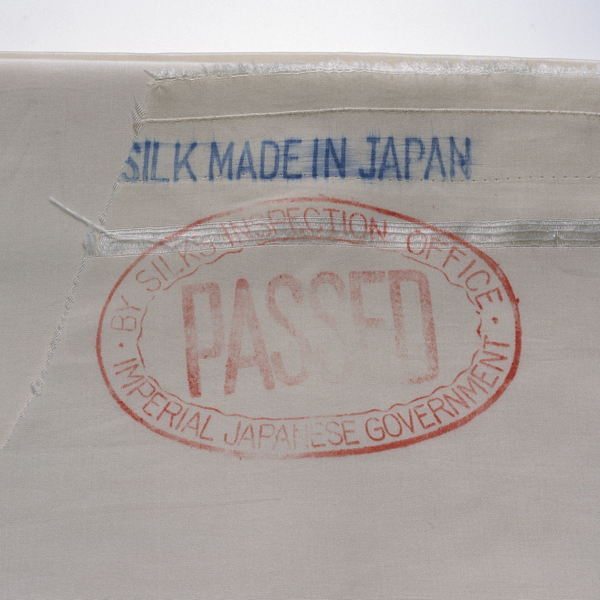 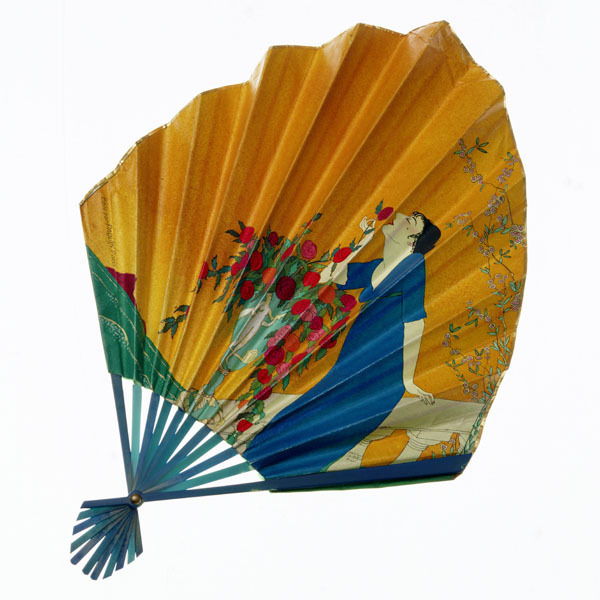 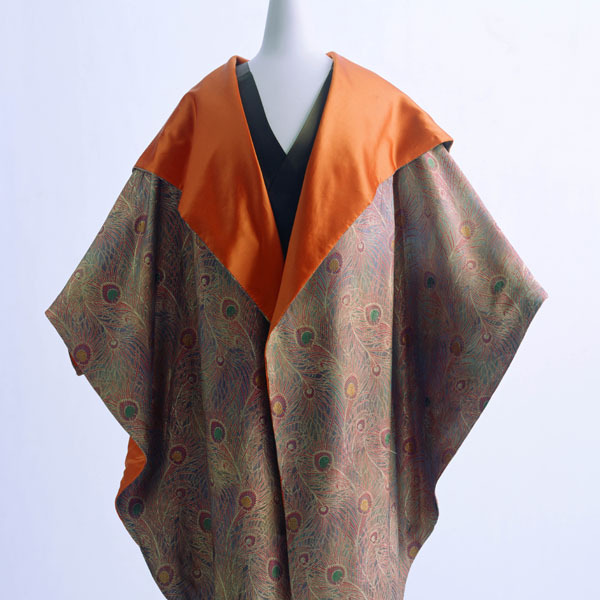 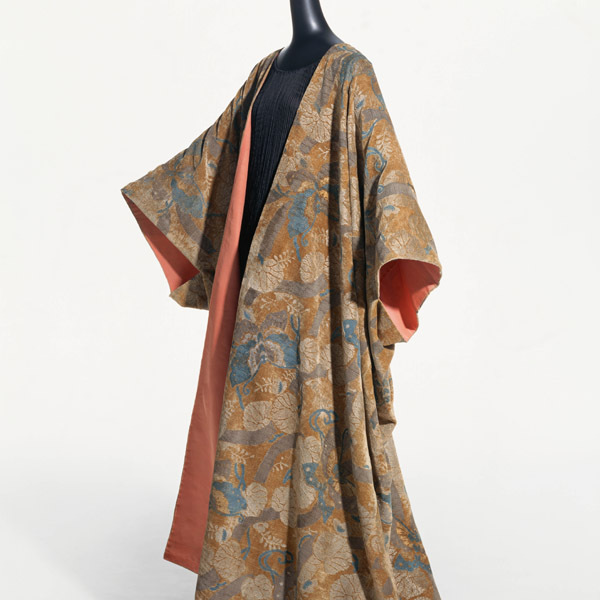 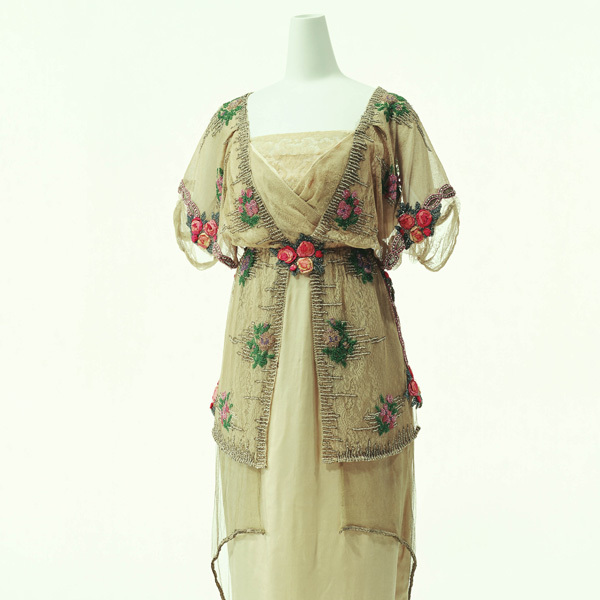 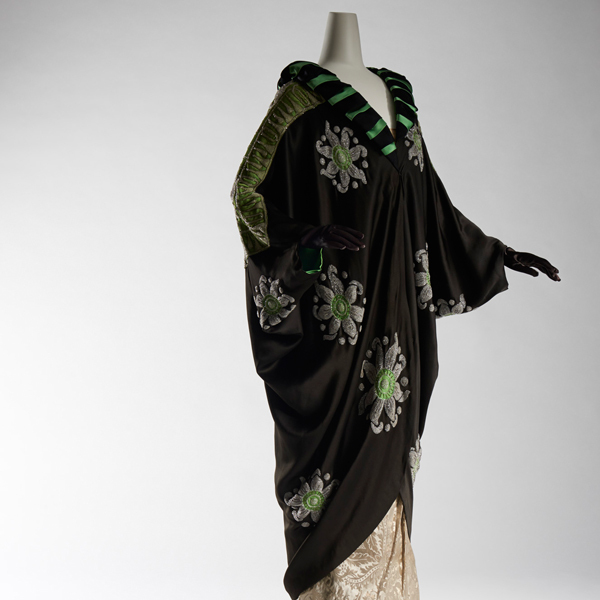 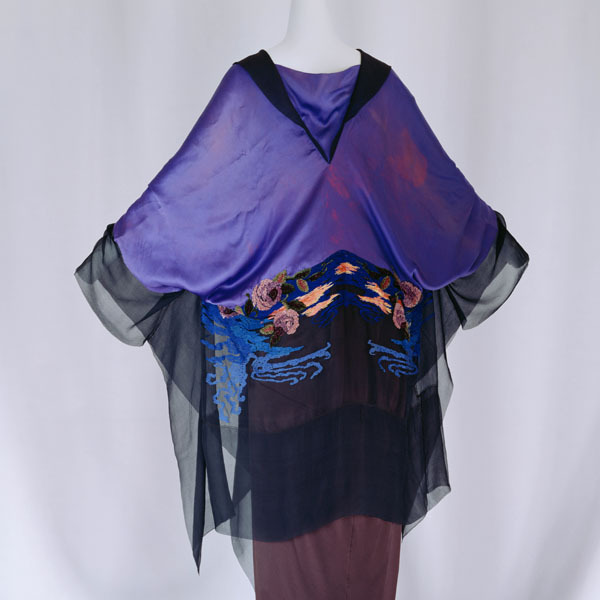 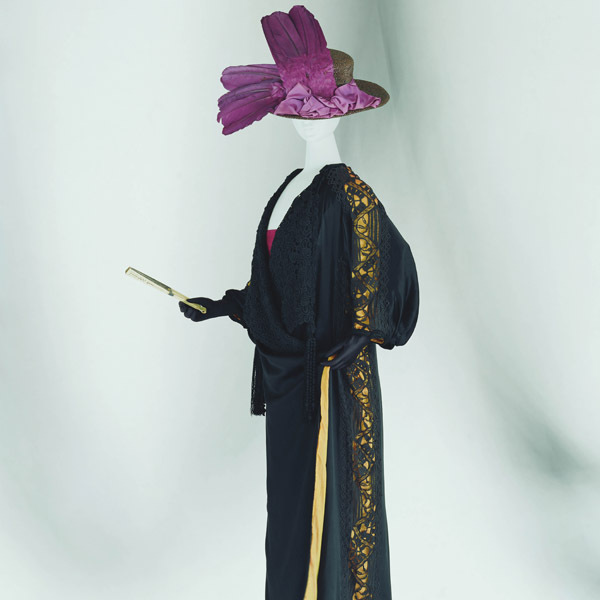 As a result of World War I, fashion turned rapidly in the direction of simplicity. 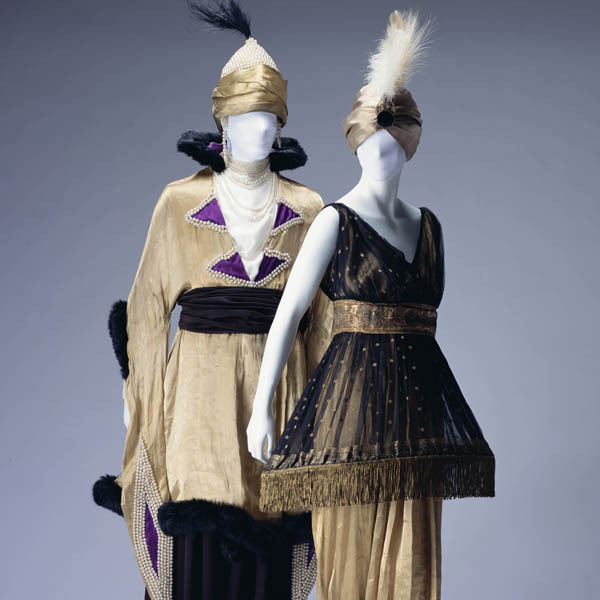 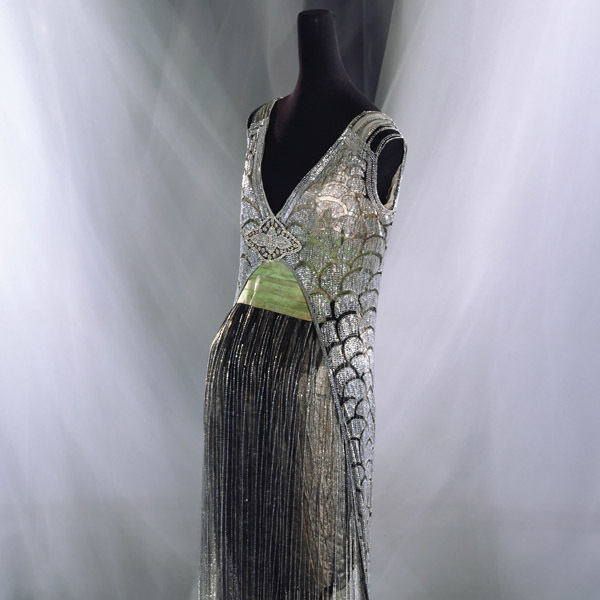 However, many women still longed for the decorative, traditional styles, providing a clientele for Lanvin and Lucile. 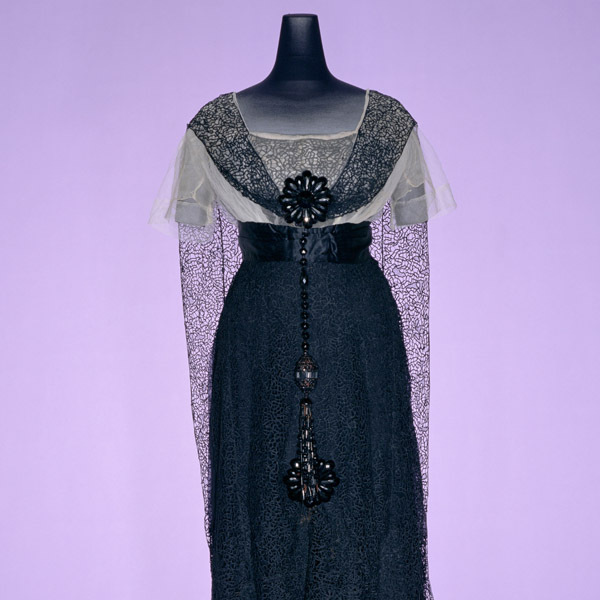 This dress exudes that nostalgic feminine atmosphere, but the length is short enough to show the ankles, signaling the new age. 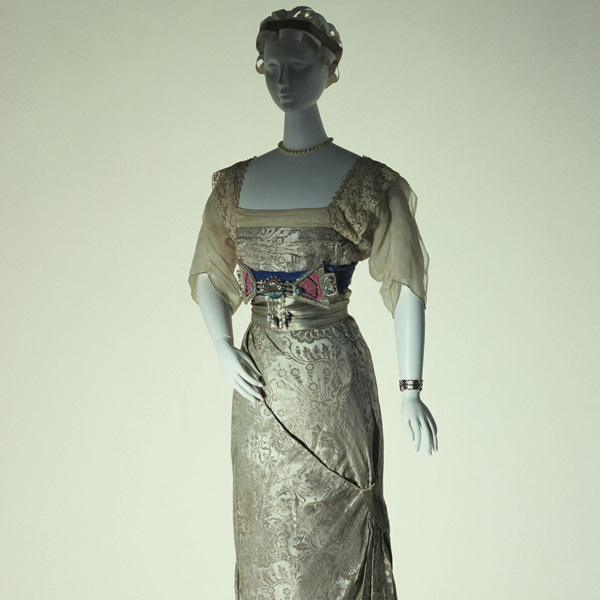 This dress was designed by Lucy Christiana Wallace, later to become Lady Duff-Gordon (1863-1935), who had established Lucile in London in 1894, captivating society women with her sumptuous use of fabric, delicate decorations, and coloring reminiscent of 18th century court dress. 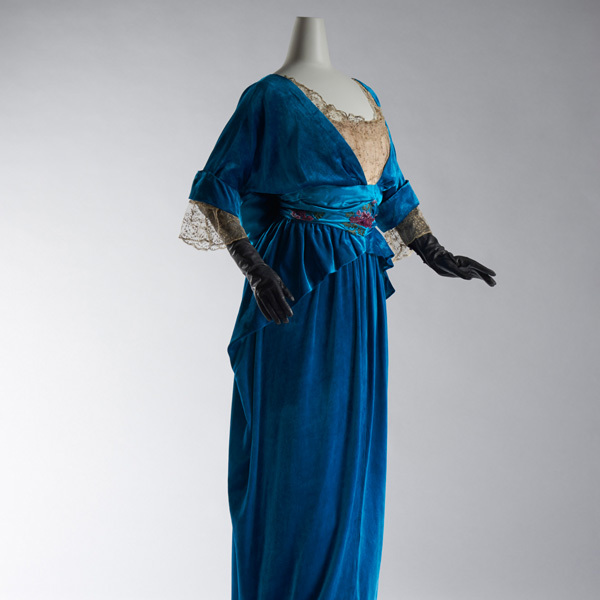 Her well-known clients included women such as the Countess of Warwick and Irene Castle. 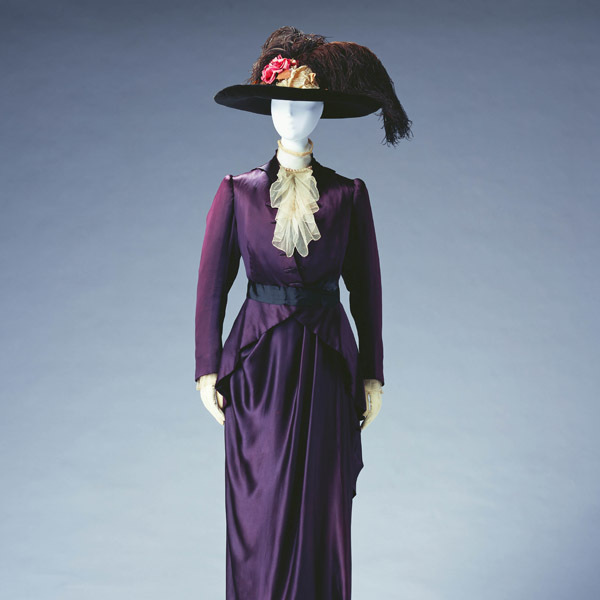 She opened branches in New York and Paris in 1910, and Chicago in 1915. 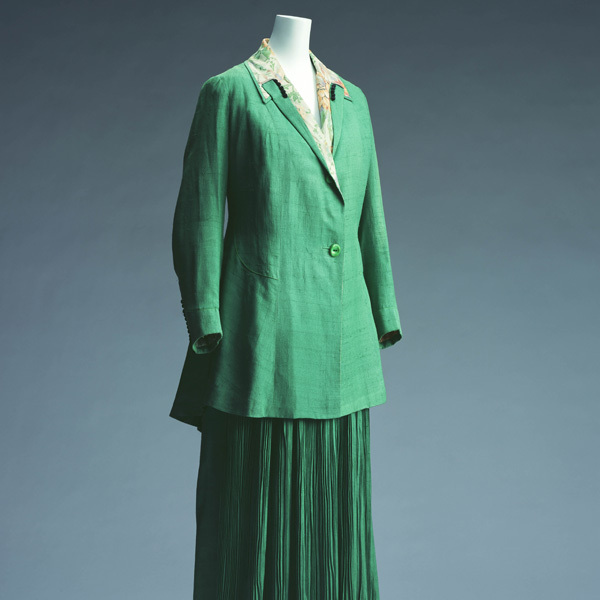 During World War I, her American business grew and the reputation of “Lucile” spread. 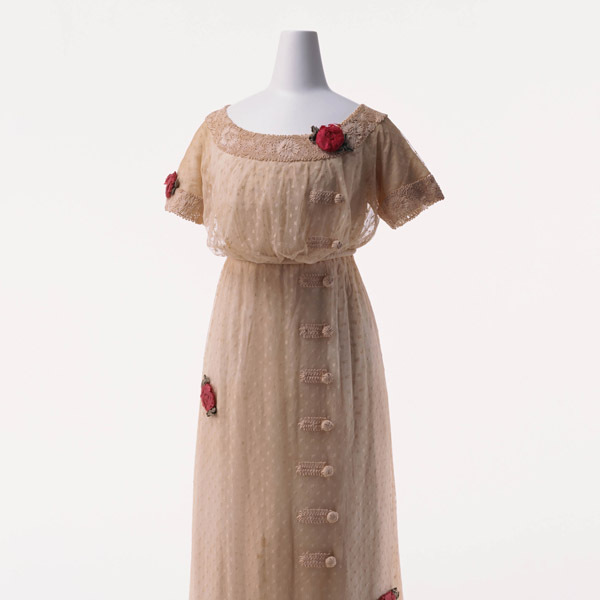 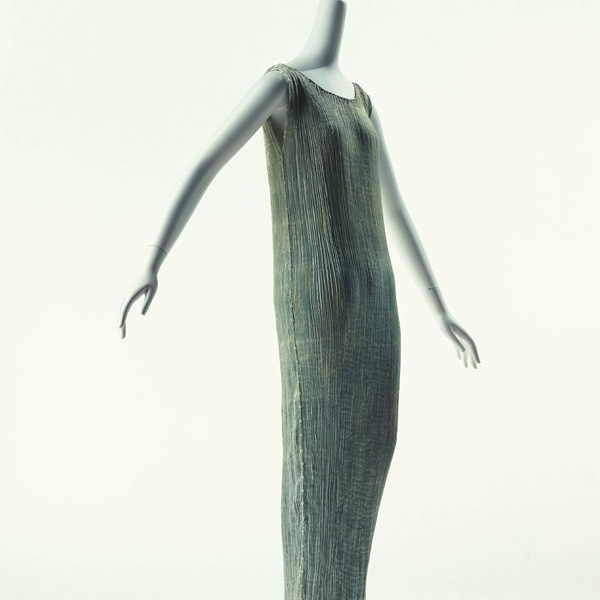 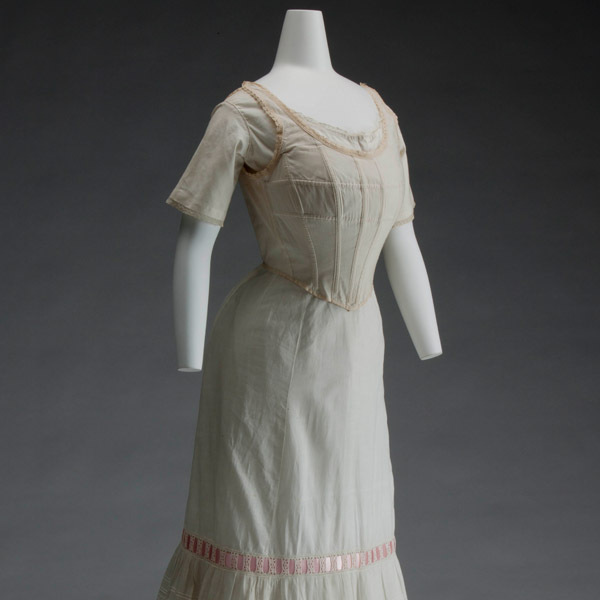 This dress was made at the New York branch.